These are the three words that our guest today focuses on. d) Are you going to die waiting for your family farm to be handed to you? Every week Sam Marwood takes you behind the scenes of what we are doing to help make your farm dreams a reality. We are at 790 aspiring farmer members from all over Australia. Thanks to the 85 in the last month. We appreciate you all very much. We need you to back us to help ensure Cultivate Farms takes off. It costs us to keep things going and we need our aspiring farmers to step up and help fund our operations. You can sit back and not sign up, or be a free member - that’s great - but wouldn’t it be much better to work through a farm ownership plan with us and ensure we keep finding farm opportunities for you? Behind the scenes discussions: We are having so many behind-the-scenes discussions with aspiring farmers, investors and retiring farmers. It takes a while to get to know people, what they want and the farm opportunity. We continue to keep in touch with all of our retiring farmers letting them know who is applying for their farms. But also keeping in touch with those who have indicated an interest. 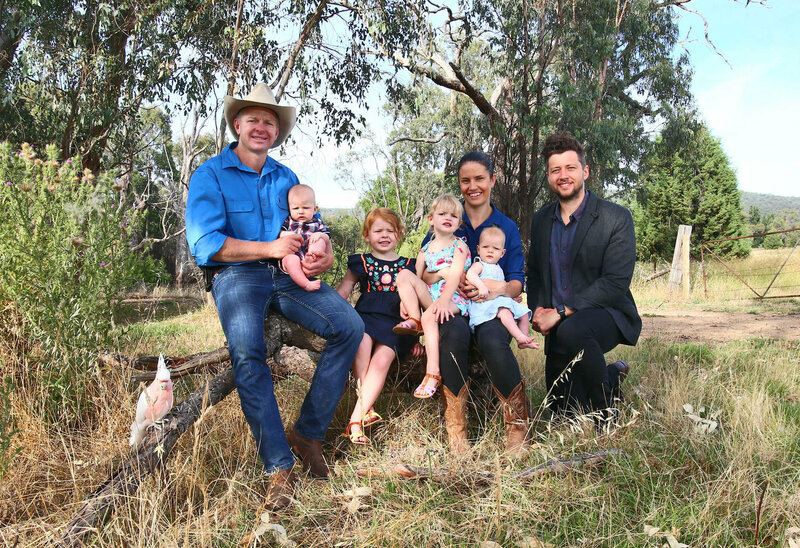 These farmers are dabbling with the concept of transitioning ownership to kids that aren’t their own and this takes time which we have to be appreciative of. I did an interview with the Founder of RCS, Terry McCosker. Terry had some gold about how to make your farm dreams a reality, his thoughts on whether retiring farmers are ready to transition to kids that aren’t there own and what you as a farmer need to know to succeed. We have had such great feedback on this interview - so please do add this to your playlist. You can watch the interview here. https://www.youtube.com/watch…. Cultivate Talent - we are unpacking a recruitment concept with a corporate farm. Their biggest risk is finding farmers who are dedicated, hardworking and there for the long haul. They are open to helping their farmers get farm-ownership-ready and we think we could have an amazing farm employment concept that could change how farm jobs are rolled out across the country. Both parties know you want to own a farm, and you will work together to get you there, but in the meantime, work hard on the farm. We are applying for a couple of grants for the Cultivator Program and also a community farmer activation program - where we will help regional communities find their own farm matches. We have been working with a community leader in North East Victoria who is keen to see more young people get onto farms in their district and to help retirement aged farms step back with dignity and remain in the community. So after some discussions, we developed a community farmer activation program which we want to share with you now and encourage any community in Australia to reach out if this is of interest. We know that there are plenty of solutions to get young people back to your farming community. It takes time and a few dedicated people to make it happen. But essentially you can be the farm matchmakers and you are in the best place to do this because you know the social landscape. Our plan is that over 2 years we assist a farming community to attract 3 aspiring farmers into farm ownership and to assist 3 retiring farmers into transition ownership while remaining in the community. Most farming communities are aware of the change in demographics of their community over the past few decades. The ability to retain and attract next-generation farmers is getting harder. However, the farming opportunities in any region are many and varied and the scene is set for local communities to look at the current situation as opportunities for exploitation. There are many retirement-aged farmers who would be open to transitioning ownership to next-generation farmers. There are communities full of passionate people already taking action to continue to see their district thrive. We just need to tap into this and offer practical solutions. We have been talking to all our premium aspiring farmer members about the power of social media to fast track their farm ownership dreams. Everyone should be documenting their journey through social media. Bianca from OurCow is doing this and you should follow them. The ability for this to open doors that you can’t open yourself is immense. We want you to tag us in any posts that you create or think are relevant as well, so we can share and promote you to increase your chances of ownership. We have had a few farmers coming to us with vendor finance deals - this is great. But how come you haven’t already found these deals!? You should be out there contacting all these farmers and they should feel overwhelmed with attention from passionate aspiring farmers jumping onto any opportunity that could help them. We will be promoting these opportunities soon, but you should be finding these yourself. You should know all the farms that are on the market and understand the needs of the farmers. Maybe there are farms that haven’t sold for over 12 months - these ones you should definitely contact the real estate to see if vendor terms would be an option. You should be emailing all real estate agents anyway for any farm opportunity and asking them if vendor terms are available. The squeaky wheel will get the fix and soon real estate agents will be finding your deals just to get you off their back! We believe that the best way to get onto your farm is to start farming yourself. If you are already running a farm operation using your own money and making sacrifices, then this is the number 1 best way to prove to a retiring farmer or investor that you are worth backing. If you are good with your own money, then you will be good with theirs. You are most likely not going to be able to buy a farm on your own. So you need others. Therefore you focus is on impressing people. We know it is hard to find, but keep a focus on finding land to lease and setting up a small version of your ideal farm. Get a herd of 10 cattle, start growing mushrooms, do whatever you can to show you are on a trajectory to having your own farm. You know how hard it is, but you want to show everyone you want this bad. This farm is a sale, but the vendor is open to some form of vendor terms. We thought this was a great one to promote with the owner because we this a farm entrepreneur might be able to see the value and then find investors to back them and go for it. It is already a profitable operation and has the opportunity to tap into the cider market and convert the house to tasting rooms or another option is to grow late season cherries on it in conjunction with the apples to further compliment the current structure. We have a lease opportunity that has been available for a while near Bicheno on the east coast of Tasmania. On the doorstep of world renowned Freycinet National Park. I had the opportunity to visit the 132 acre property the other day while down in Tasmania and met up with the owner. The owners are great and have really setup a green field property that is right for a top gun farmer. We kicked around ideas why we haven’t been able to find a farm entrepreneur to jump onto this farm and then we thought we should think bigger. So we are now going to approach a few larger farming operations to see if they would be up for incubating the farm as an extension of their current operations and back a top gun farmer. We have 22 farms that you could own with retiring farmers tomorrow. We want you to check these out and pass the details on to friends and family. These are red hot live opportunities which could set you up for life. We are focused on making pathways for anyone to own a farm. Part of that is providing useful and inspiring information and connecting you with great people in the farming industry. This is the reason behind today’s interview with Terry McCosker from RCS (Resource Consulting Services). Terry setup RCS back in the mid-80s which is focused on helping farmers get the skills they need to succeed. Cultivate Farms are working with RCS to find ways to get aspiring farmers skilled up for farm ownership and this is the context of our chat today. We are also working on some great deals for Cultivate Farms premium members and RCS courses. 1. What is your back story, Terry? Were you once an aspiring farmer? 2. Who is RCS? And why did you start it? 3. What advice do you give farmers? 4. What is the grazing for-profit course? 5. Should people not on a farm do the Grazing for Profit course? 6. What do you like about Cultivate Farms? Why were you interested in working with us? 7. Are there retirement aged farmers out there looking for next-gen farmers to co-own their farm with? 8. What makes a top quality next-gen farmer? 9. What does our partnership look like? 1. What is your core business? How long have you been in the industry? 2. What do you enjoy about your work? 3. What are the major challenges you face in your business? Please describe. 4. How are you trying to solve the problem(s)? Please explain. 5. Please explain your innovation or new approach? (and to whom is it new? New to the world or new to this region?). Where did it come from? 6. How have you been successful in solving the problem(s)? 7. How sustainable are your initiatives? Has it made your business more competitive into the future? Please explain. 8. Is there any intermediary organization who helps your business connect to consumers? Do you also do this directly? 9. What is the main obstacle or remaining issue(s) for your business? Cultivate Farms are finding as many ways as possible to demonstrate how anyone can own a farm. We have heard a lot about SMSFs and have been connected with Andrew Grinsell from Cooee Wealth Partners from a farmer in our networks who have been utilising their Self Managed Super. 1. What is a Self-managed super funds? 2. Why do people usually consider Self-managed super funds? What makes them take the leap? 3. Can SMSF be used to buy farmland? 4. Can it be used to buy a farm business or livestock? 5. What restrictions are there? What can and can’t you do? 6. Can you live in a house on the farmland owned by your SMSF? 7. What risks are there using your super? Who would you recommend considers this? 8. What are the costs of setting up and managing, compared to traditional super? 9. What are the financial benefits of setting up SMSF? Tax etc? 10. What are the steps in setting one up? 11. What stops people from setting one up to buy a farm? 12. Can you bring more people into your own SMSF to pool funds? 13. Do you have a case study you can talk about? 14. Can you combine SMSF with other investment funds available and debt? 15. Once the money is inside super it's stuck there till you retire? 16. What else should be considered when using an SMSF? 17. Do you have to show the farm is financially viable? 18. What is the minimum you need to set up Self-managed super funds? 4. What was filling out the template like? How long did it take? 5. What did you want to achieve? 7. What did you tell all your friends? 8. What was the investor looking for? 9. How is the farm going now? 11. What sort of person should apply?